Be the first to hear about their new releases and deals. Download the Booksprout app and search for SJ Slagle today! SJ SLAGLE started her writing career as a language arts teacher. Her initial interest was children’s stories, but she moved on to western romance, mysteries and historical fiction. She has published 24 novels, both independent and contract. SJ contributes regularly to guest blogs and has her own blog called anauthorsworld.com in which she discusses the research involved in the books she writes. 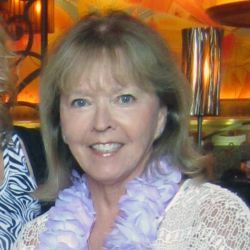 SJ has established Twitter and Facebook fan bases, a quarterly author newsletter and a website under her pseudonym: JEANNE HARRELL at jeanneharrell.com.